Katahdin hair sheep shed their coats each spring. The hair falls off in chunks or hangs like a cape to be found like a towel on the floor. 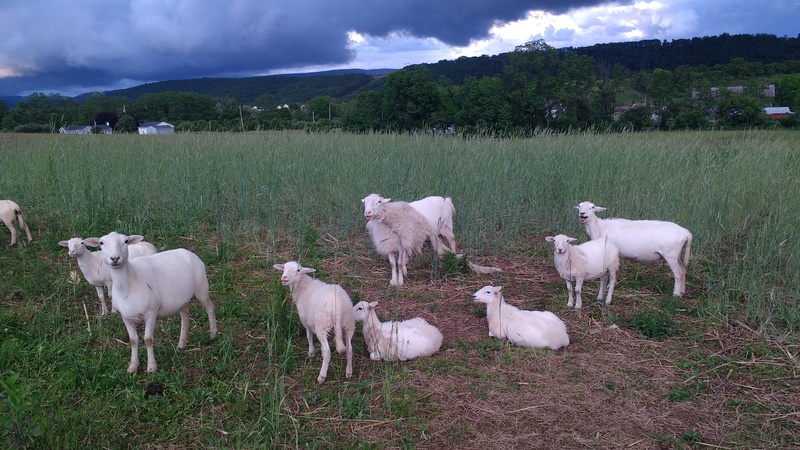 The flock lounges in a rye cover crop in what had been vegetable beds.